Email marketing may be a very efficient medium for reaching a targeted audience worldwide. But how sure are you that your marketing efforts will reach its full potential? How do you avoid email marketing mistakes? The answer includes lots of information and a good dose of evaluation. Evaluating your email campaign may cost time, money and energy, but believe me, it’s worth it. Through evaluation, you will determine if email marketing is helping you or not. You will also determine if your email campaign has an impact on the targeted audience. A lot of problems are encountered in an email marketing campaign. Most of the problems encountered are due to the negligence and failure to evaluate the campaign. Some marketers take an evaluation for granted and they usually end up getting only a few sales and website visits that won’t convert at all. Some do evaluate but on monthly or even yearly basis. They get good results but the results aren’t as good as those who evaluate daily. Evaluating your campaign daily is critical. Your success is determined by evaluation. If you don’t evaluate your campaign on a daily basis, your business may fall. Effects like blank results to losing your customers may happen. Not only is it critical, it will give you peace of mind. Knowing that your email marketing is giving you good results and stable sales is better than generating a lot of sales at one time but getting no sales in the future. Some email campaigns are ineffective because they don’t reach the targeted audience. Some make a very fatal mistake; they don’t make sure that their email distribution list contains the people who are interested in the products or services that their campaign promotes. Those who take the shortcut by simply purchasing bulk email lists later find out that their shortcut didn’t pay off. The reason is the recipients of these purchased email lists weren’t interested in their products or services. If this ever happens, email marketing will generate very few sales or visits to your website. On the other hand, reevaluating your email distribution list into a list which includes interested recipients or those who are interested in your products or services will give you good results. You will make more sales and your website visits will skyrocket. Now think of a situation where the recipients of your campaign thought of your emails as spam. Even if you took precautions and ensured that the emails you sent reached the members of your targeted audience, some may still not take your emails seriously as advertisements and see them as spam because your emails look more like an exaggerated sales tactic. If ever this occurs, the recipient may look for another company to purchase the products or services they need. Usually, these other companies are also your competitors. Another important way of evaluating your campaign is through surveys. Through surveys, you will determine the effectiveness of your campaign. Questions such as how they came to know your product or asking them what the customers want to change your campaign are good questions to determine if your marketing efforts are giving you positive feedback or not. You could also give surveys through your site or you could include the service in the emails you send. Through this, you will determine if the recipients on your targeted list are really interested in your product. If your surveys stay unanswered, it only means you’re sending your emails to the wrong audience. Meaning the targeted audience you chose aren’t the right ones you sent your emails to. Other Email marketing software contains programs which monitor the emails you send and determine the recipients who open your emails and those who just ignore them. Through this program, you will determine which ones of your recipients are really involved in your marketing campaign. Evaluation of your campaign efforts may be formal or informal. Business goals may run through your head, but always consider if your email marketing is working in order to reach this goal. To be sure that your marketing efforts are working always evaluate your email marketing. 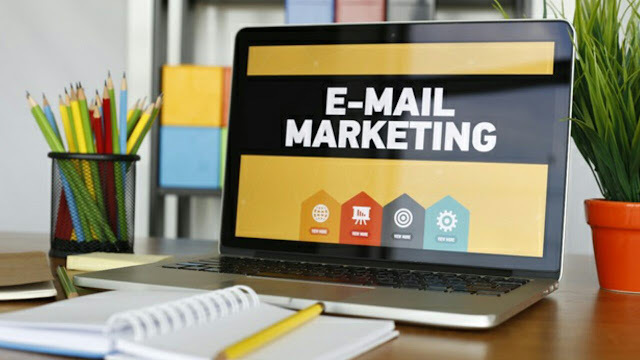 Evaluation of email marketing will not only inform you or your campaigns status, it will also help determine what your next step in your campaign will be. That’s why always remember to evaluate your campaign as often as needed. Leo Doss, general manager of Carlined.com. Leo works as a manager for one of the best companies of custom car pars. He provides such goods as the interior and exterior custom accessories, automotive lighting and auto body parts. He tries to position herself as a thought leader in the car world.